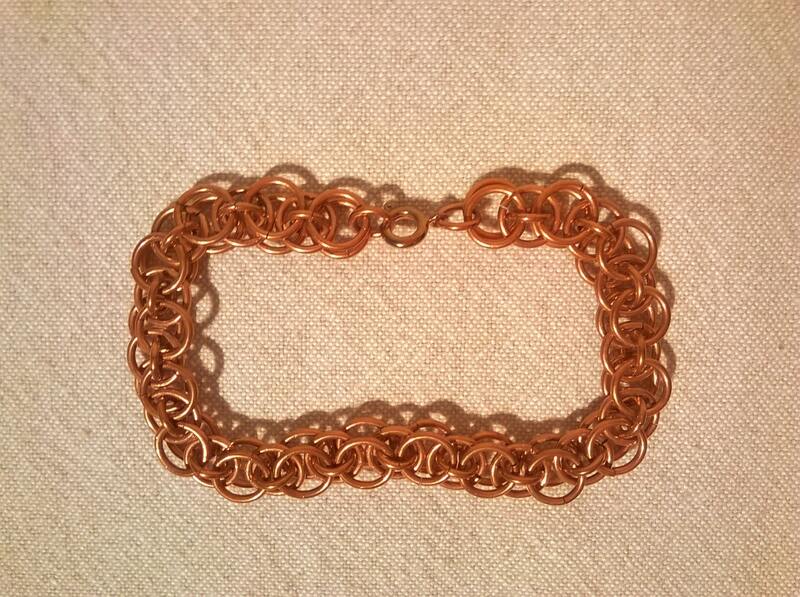 Bare copper chainmaille bracelet, featuring the helmsweave. 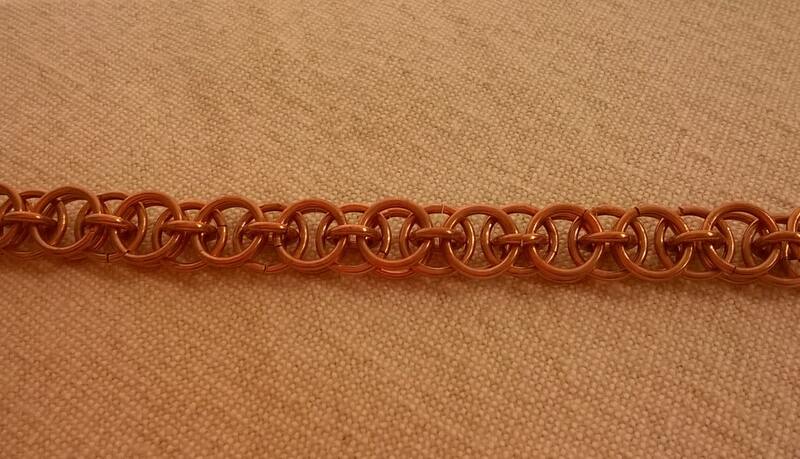 This is an easily unisex weave. Approx. 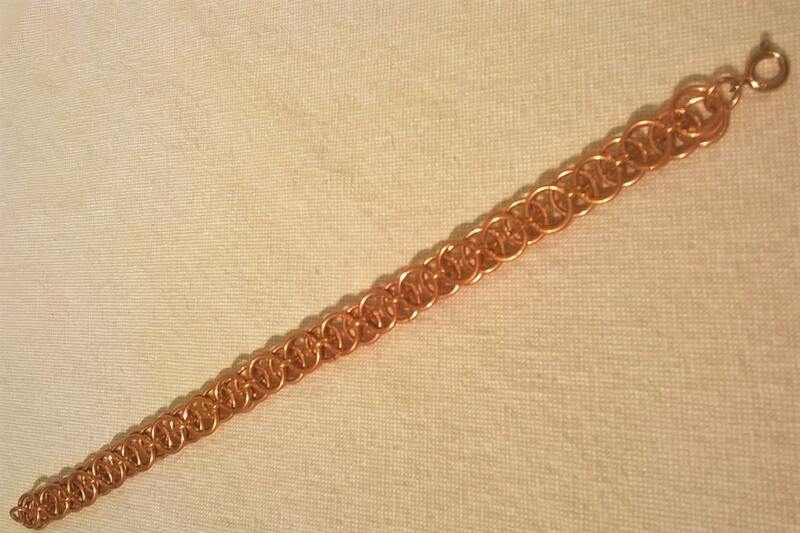 7 3/4 inches in length. 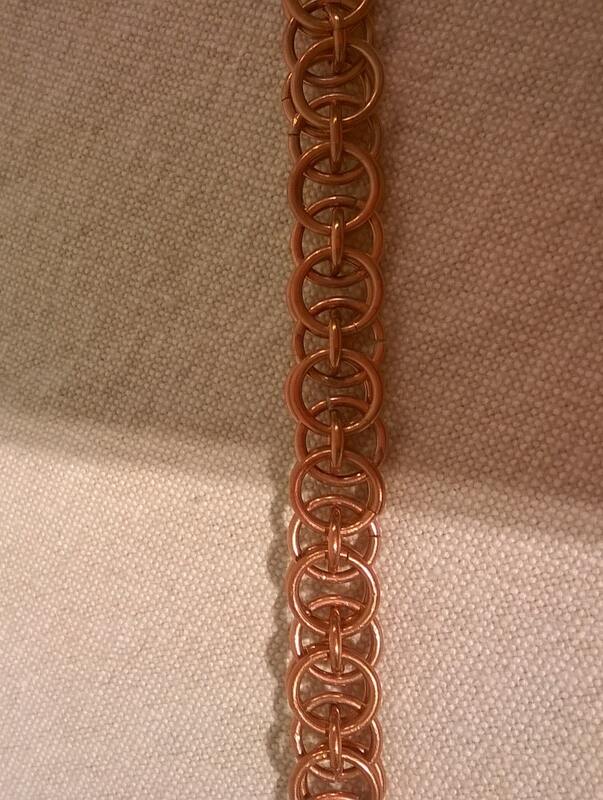 Bolt ring clasp.